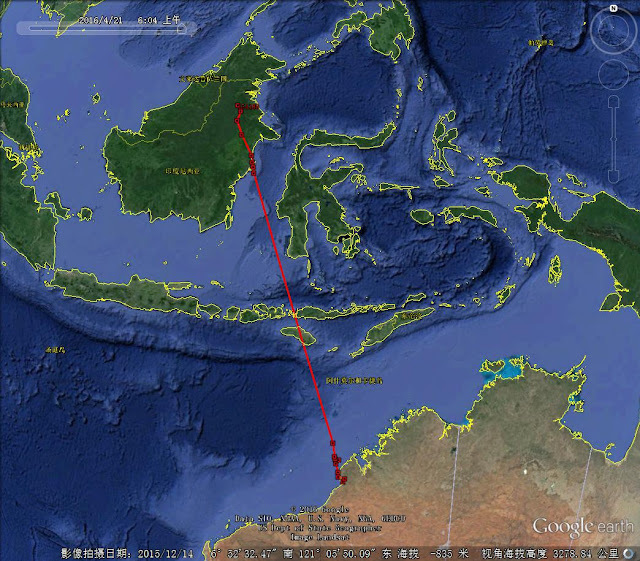 Wader Quest: Grey Plover update from the East Asian-Australasian Flyway. Grey Plover update from the East Asian-Australasian Flyway. More news about the migration of the Grey Plovers fitted with satellite tags in Australia has reached us via Grace Maglio from the Australian Wader Study Group team. Grey Plover is not limited to coastal area, Nad is migrating inland. We are still hearing no news from Ecosure (LLA) in the last transmission cycle but our other three birds are moving on. Mymi (LLH) is more than 2,400km away from Broome, and is now in the northern hemisphere on its migration. 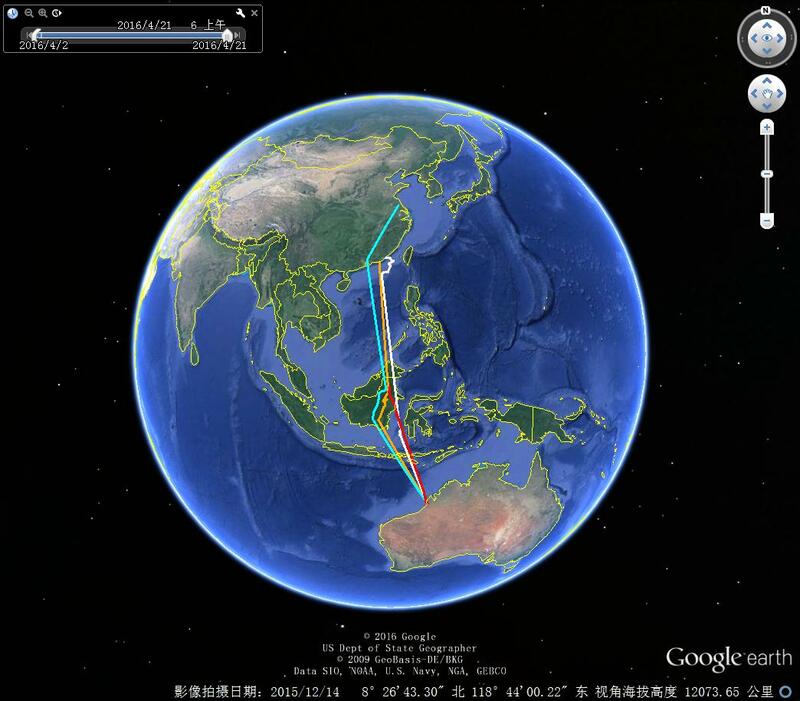 It is again using a similar route to the other three birds flying over Borneo, with an average speed of 37kph, slightly slower than the other three birds which travelled at a speed of 46kph. Nad (LLJ) has migrated 1,200km further northeast to reach Yancheng Nature Reserve in Jiangsu Province on 20th April 2016 evening. It seem that it just stayed for a couple of hours and then decided to move on at midnight. We will find out where its next destination is on the next transmission cycle in two days time. 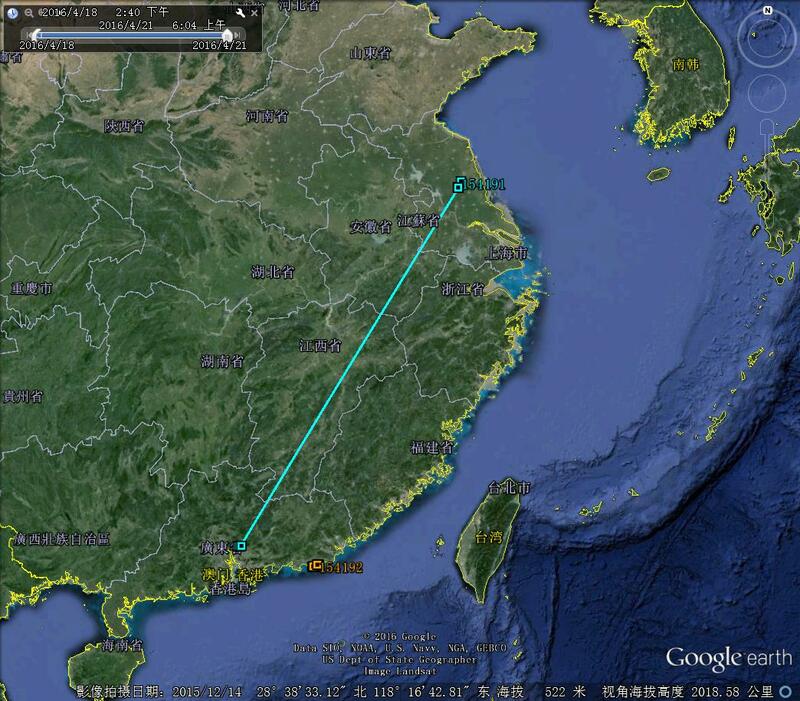 Charlie (LLK) is comparatively more stationary and is still in Guangdong Province. It is now about 19km northeast from where it first landed, using a fishpond area about 5km inland from the coast.